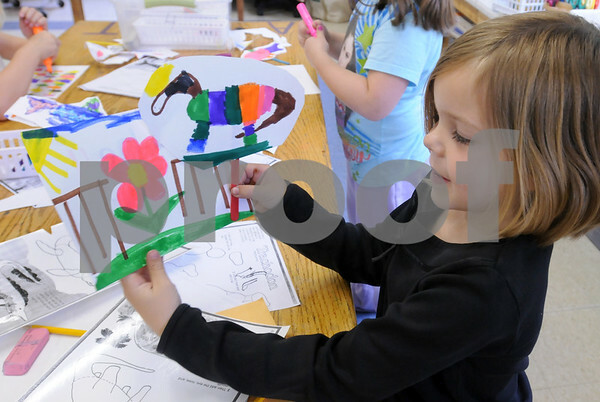 Amesbury: Sydney Aldrich, 6, moves along a dinosaur puppet along the back drop of a spring scene she created in Linda Greenfield's art class at Amesbury Elementary School. The kindergartners have been learning about the ancient creatures. Bryan Eaton/Staff Photo Newburyport News Thursday June 11, 2009.